Caveats: Prohibition didn’t gift us reddit gold for this review. The opinions are all our own. We got to double up on the reviews for strains from Prohibition Herb this week, which means we are lucky, lucky, weed writers. And no, we won’t trade lives with you for nothin’. Our second strain this week isn’t really a straight strain, per se – it’s Gorilla Hood full melt bubble hash. If you’re not familiar with what full melt bubble hash is, let’s have a quick lesson: it’s an extract made without using any harsh chemicals like butane – which is often used in the extract process – and in this particular case, the process involves using ice water. The full melt part means THIS bubble hash contains strictly trichome heads and turns into a beautiful, clean puddle before it vaporizes without leaving residual junk behind. Oh, and it’s very, very potent. Got all that? Good. Let’s move on. 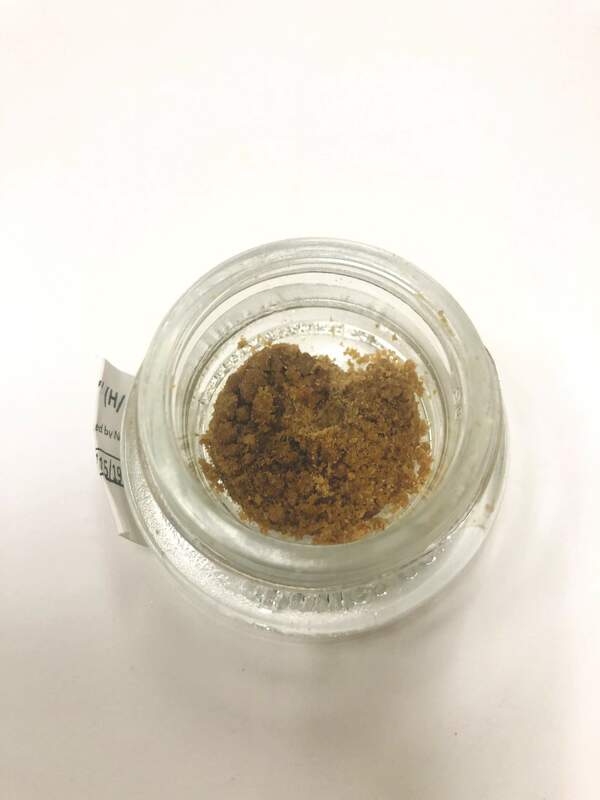 Given that this review is about an extract, you will probably not be surprised to learn that this jar of Gorilla Hood bubble hash smelled strong enough that there were actual Pigpen stink lines appearing above it. I loved it. It was hard for me to tell what exactly the stink lines smelled like – it’s so strong that it mostly just smelled like weed to me – but I think there was a bit of earthy dirt and a bit of gasoline in there. Don’t quote me on that, though. I really like reviewing concentrates because I’m inherently lazy. All this review required was scooping out a tiny bit of the deep yellow-green hash and dropping it into the vape. It’s like this stuff is made for me. Because this is a concentrate and I’m a big baby about being overly stoned, I opted to smoke this extract with a friend of mine in the middle of a lazy afternoon, which was a very good idea. If I had tried to review this at a time when I had to, like, be coherent or adult-ish, I would have been fu-barred. I didn’t need to make a note of what was going on with my buddy on the other side of the couch, though, cause THAT I remember quite clearly. My friend just looked at me and said, “Uh, what the hell did you give me?” and then started laughing hysterically at nothing. Things get kinda hazy from there. I remember the friend trying to express something to me, but I felt like I was in a tunnel of sound, and really didn’t care what the conversation was about. I’m not sure they did either. It was like two talking heads just jabbering at each other. So, if that doesn’t sum up Gorilla Hood bubble hash, I don’t know what will. It’s potent, stinky, and you’ll be so high you start pondering the similarity of sounds. In other words, you’ll love it.